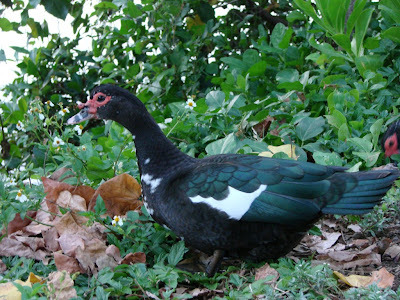 The Kawai Nui Marsh provides a primary habitat for many of Hawaii’s endemic and endangered waterbirds such as the Laysan Duck and Nene and many other bird including what I believe (correct me if I’m wrong) is a Muscovy Duck shown in the photo. Kawai Nui Marsh is excellent waterfowl habitat and is a Ramsar Convention nomination site. Be sure to look about as you walk down the path and see what types of wildlife and plants you see. We walked along the paved trail which runs around 3 miles round trip and is a family friendly trail allowing stroller and even pets. I would recommend doing this in the morning or late afternoon as the area is not shaded. Along the way you will be able to see various areas of the marsh. The city wants to one day build a perimeter trail around the entire 800+ acre wetland. The Kawai Nui Heritage Foundation, a nonprofit group that promotes the preservation of the marsh is working with the city to find a plan that will allow access as well as protect the marsh. 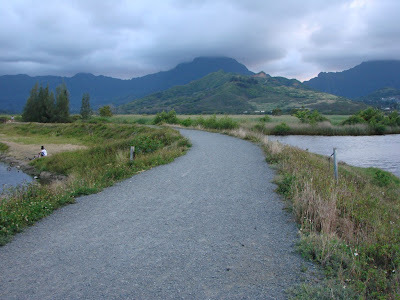 Today we begin our series on the Kawai Nui Marsh. We will be featuring various photographs taken at the marsh on Bob’s Moonwalk on March 27. 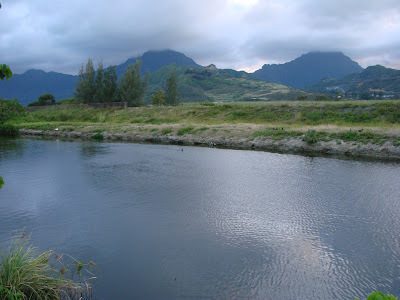 Kawai Nui is the largest wetlands in all of Hawaii and consists of over 800 acres. It is located on the windward side of Oahu near the city of Kailua and owned by the State of Hawaii and the City & Country of Honolulu. This photo was taken shortly before sunset and the vast amount of water makes it look almost like a river. Join us all week and learn more about Kawai Nui.